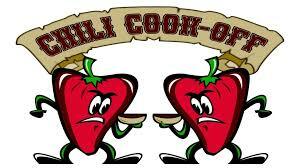 Join us for our second annual Chili Cook off! 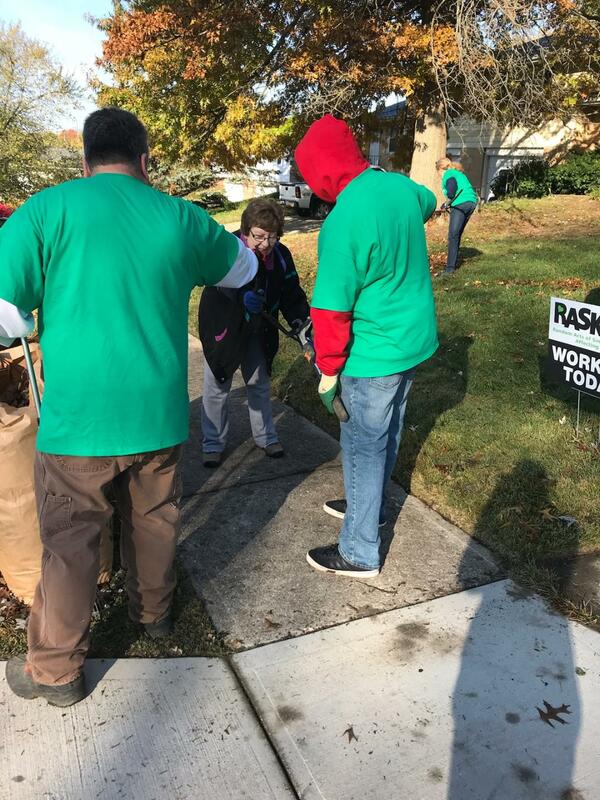 We had so much fun last year, you don’t want to miss it this year! For $5 a spoon, you will get to taste the best chili around. Sample all you want and then vote for your favorite. A portion of the proceeds will go to the Joe Nuxhall Miracle Leagues. Congratulations to Diane Landi. She was award the Certificate of Achievement from Civitan International for her 30 years of membership! Way to go Diane! 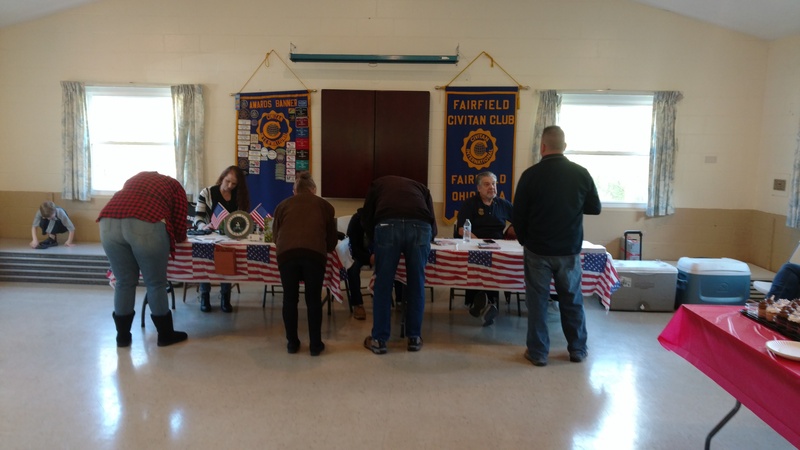 Diane was the Fairfield Civitan Club’s first female member. She has served a variety of post in the club including President. 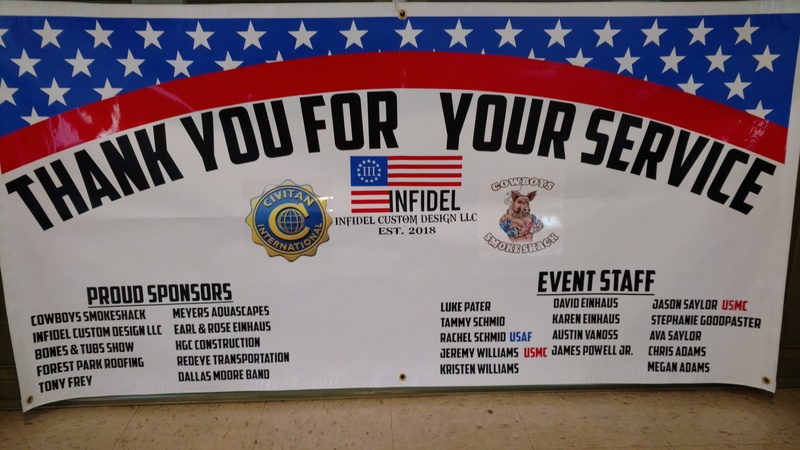 We are looking forward to many more years of service! 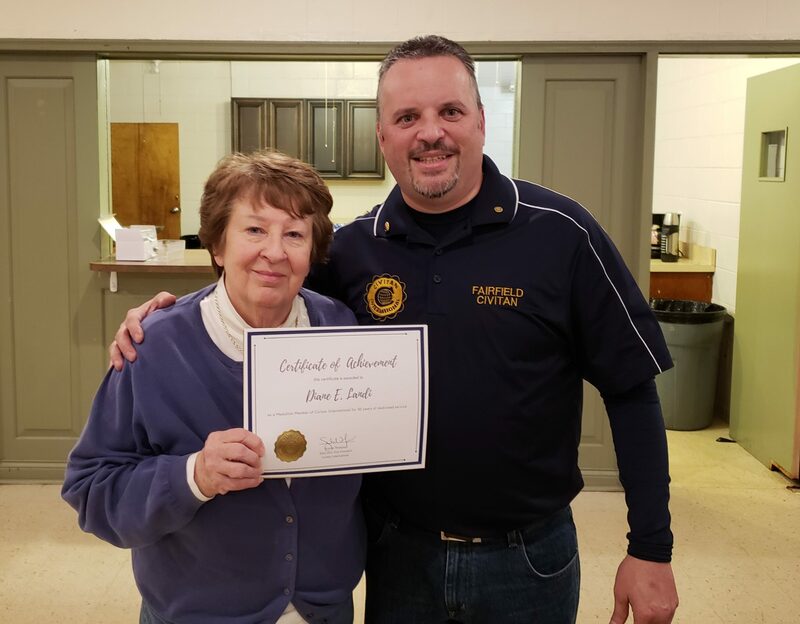 Diane Landi with President-Elect Brad Vanoss being presented the Certificate of Achievement for her 30 years as a Civitan. 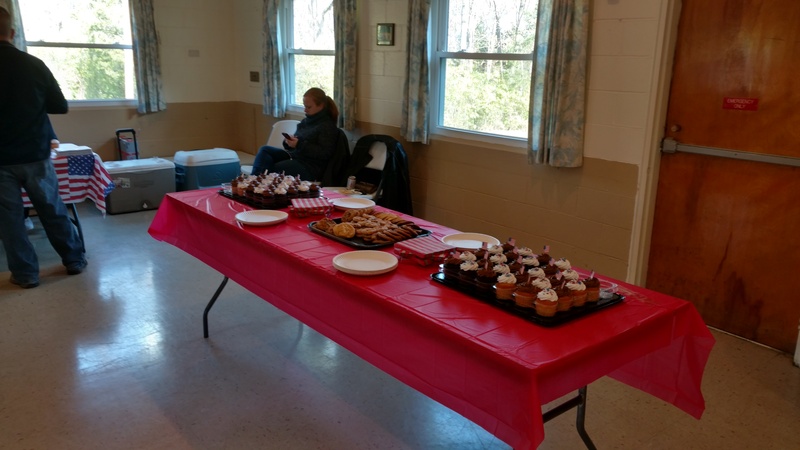 All Veterans were offered a free meal on Saturday, November 10th to celebrate Veterans Day. 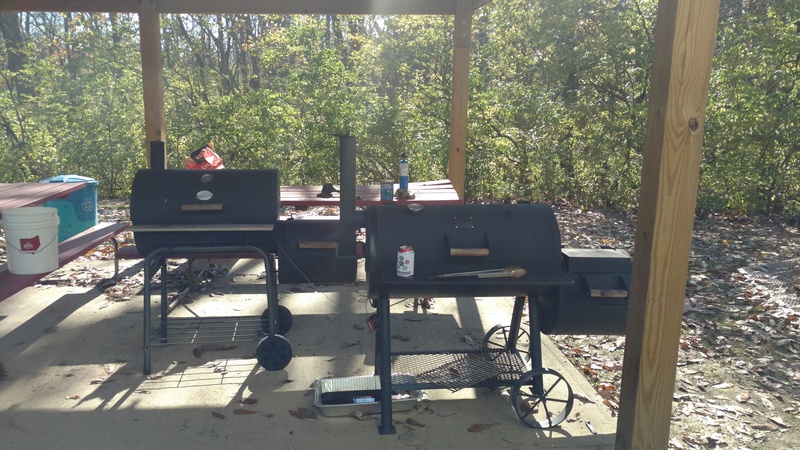 A special thanks to Cowboy Smokeshop for providing the smoked chicken and pulled pork! Thanks to all who served! 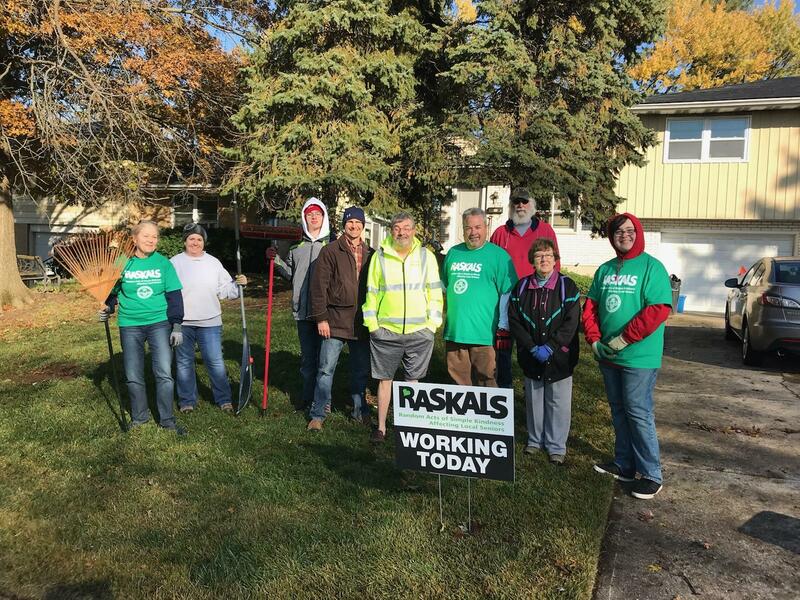 We participated in the Fall 2018 RASKALS (Random Acts of Kindness Affecting Local Seniors) with the City of Fairfield. 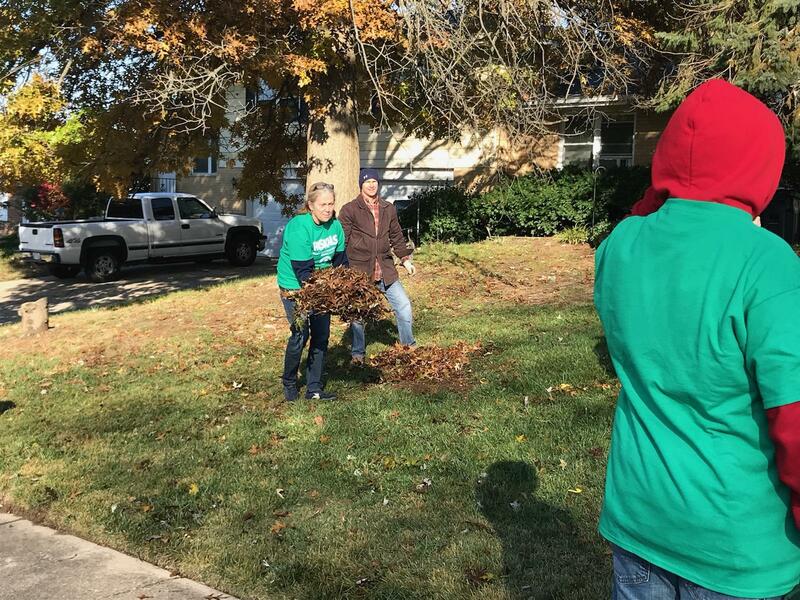 We were able to assist 3 families in clearing up leaves and other yard waste to help make Fairfield a more beautiful place to live! 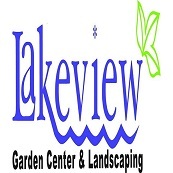 A big shout out to Lakeview Garden and Landscape Center for the donation of 2 rose bushes that were recently planted near the building! They will add a beautiful accent to pictures taken outside next to the gazebo! 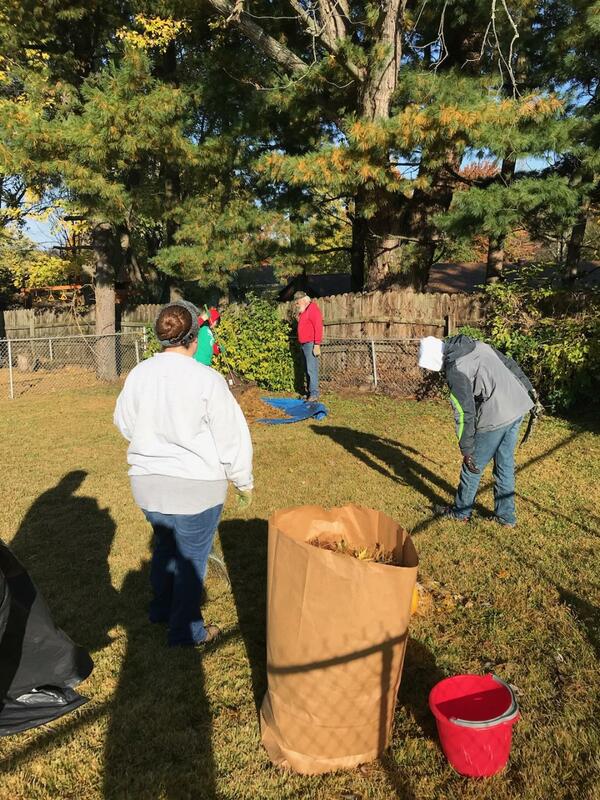 A big Civitan shout out to Don Ventling and Bryan Sizelove of Landform Groundscare for their expertise and donation to help keep our fields looking great! 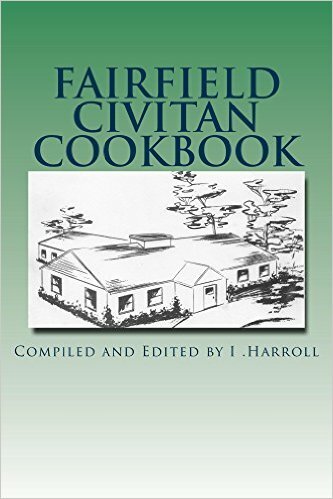 The Fairfield Civitan cookbook is now available on Amazon. You can order a print copy or download to your kindle. This cookbook contains a collection of favorite recipes from Fairfield Civitan members.